I found those months surprisingly stressful. A few days before each appointment, I felt my body seizing up. This intensified when a blood pressure cuff was put on during an appointment, and the readings were considerably higher than usual. And when I got home, my stress was 70 to 90% on the stress app I’d recently begun using. 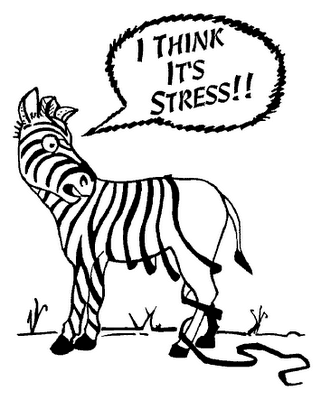 Stress Check, the app I use, is a free download to your smart phone. It measures heart rate variability when you place your finger over the camera lens. There are more expensive and sophisticated devices, but my research found that this one compared favourably. For my purposes, it’s sufficient. A stress measurement device is a useful tool to make the invisible more tangible. My purpose wasn’t to prove that the medical visits were causing me stress, but rather to see what happened when I took steps to deal with that stress. For one thing, I found it difficult when the doctors had strong opinions and disapproved of mine. It created a climate of disempowerment. In such circumstances, it’s easy to feel like a victim. That isn’t constructive and I didn’t want to go there. It helps to stop taking things personally and recognize that doctors are people trying to do their best under difficult circumstances. Coaches and counsellors call this reframing and it is a useful way of gaining perspective in any situation. Doctors work in a broken system, and have very little possibility of changing it. There are high expectations from patients that the doctor will have all the answers. Many doctors take this on and begin to believe it themselves. Patients have often consulted “Dr. Google”before an appointment. They may be asking about things their doctor didn’t learn in medical school. Doctors who are actively practicing medicine have trouble finding time to stay current on all new developments. They may feel put on the spot by patients who arrive with information that’s new to them. Doctors have been sued by patients who took their advice and didn’t like the outcome. It’s not surprising that doctors become cautious and closed to alternative treatments, even those that sound plausible. I’m not a typical patient, and my doctors could be finding it stressful having appointments with me! A thoughtful essay in The Atlantic discusses why it’s become so difficult for doctors and patients to communicate. It refers to inside accounts from doctors who have written about their experiences in a system that has greatly deteriorated over the past forty years. Reframing gave me a more generous perspective, but did not do much to reduce my stress. It had to be something going on inside me, and I wanted to get to the bottom of it. Fortunately I have a long history of personal growth work and know some valuable techniques for exploring and dissipating issues like this. I started by asking myself questions. No obvious reason emerged. The next step was to wonder about things hidden under the surface—things that are running the show even though I’m not conscious of them. More than 90% of the mind is unconscious, and is the home of many beliefs and stories that were embedded in it as we experienced life. Even though we have grown and matured, these unconscious attitudes can cause behaviours and body responses that don’t seem to make sense in the current context. As I thought about my stressful medical visits, I became aware of a pervasive feeling that there was a lot at stake and I had to “get it right.” That feeling was causing enormous tension and stress in my body. It doesn’t seem logical to feel that blood pressure measurements are a high-stake endeavour…although maybe it does. I know that when a person gets on the road of statins and blood pressure medications, it often ends poorly. I’d seen the health consequences of that path with one of my sisters. In any case, I was experiencing stress and was willing to look at it’s origin with a curious mind. My curiosity took me to my first year in school. 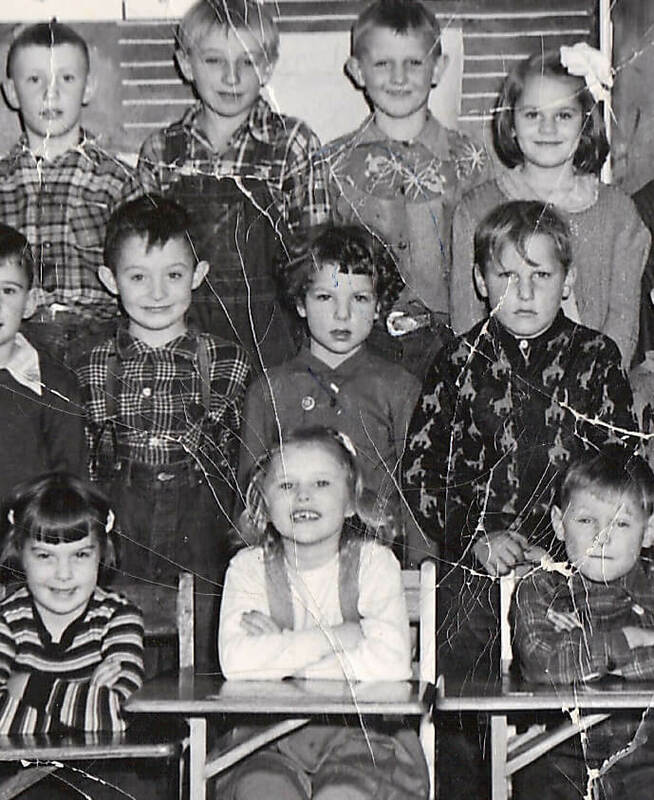 Below is a section of Mrs. Percival’s 1952 Grade One class picture. That’s me in the centre—dark hair, dark sweater, no smile. It wasn’t that I disliked school. But I was intense about it, as you can see in this closeup. Somehow I had determined that the most important thing at school was to get it right. It seemed disastrous not to do so, as if there was a lot at stake. In case you think I’m exaggerating, I remember crying the first time I only got 95% on a spelling test. 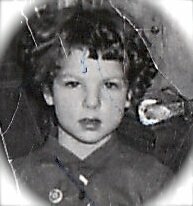 So the same need—to get things right when there’s a lot at stake—had come back to haunt me 63 years later! Being aware of this was in itself a huge relief. And things were even better after I used a simple technique to remove that old stuck energy. I felt entirely different during my next doctor visit, experiencing a feeling of indifference when my blood pressure was taken. Did my stress measurements and blood pressure immediately drop to normal? No, but there was an encouraging decrease in both. Because of that, my life felt a whole lot better as I went through the rest of the process and got things sorted. These days, my stress reading is usually under 5% and both cholesterol and blood pressure are normal. A lot of that came about because I made good use of my inner genie. I’ll introduce her in the near future. This entry was posted in Revelations, All Posts—newest first and tagged Brene Brown, stress, Stress Check app, heart rate variability, self-responsibility, reframing, doctor-patient communication, unconscious mind, early experiences by Laurana Rayne. Bookmark the permalink.